Some of the signatures on the New Haven Fundamental Agreement. 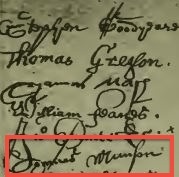 A close-up view of Thomas Munson’s signature on the Fundamental Agreement. (1) The Munson Record, Vol 1, p 5. 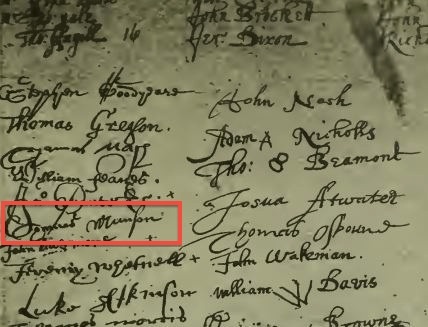 The listing on this page “The Thomas Munson Foundation (Ethel Woodington)” is incorrect. I appreciate you catching that and letting me know. I have updated the link to land correctly on the Thomas Munson Foundation homepage. Thank you!